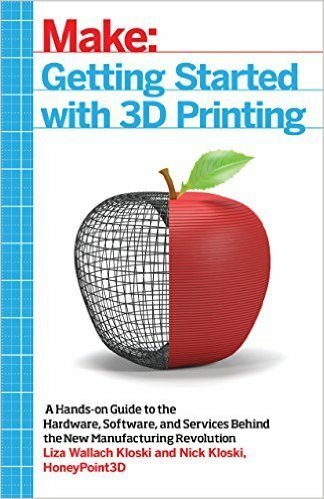 Welcome to another post in our Advanced 3D printing materials review series. This time, we’ll have a look at another exciting type of 3D printing filament: Glow-in-the-Dark Filament also known as Glow Filament. Use: for toys, Halloween decorations etc. Summary: glow-in-the-dark PLA and ABS are filaments which contain phosphorescent materials that make them glow after they have been exposed to a light source. 3D printing with glow filament is no different than using standard PLA or ABS. 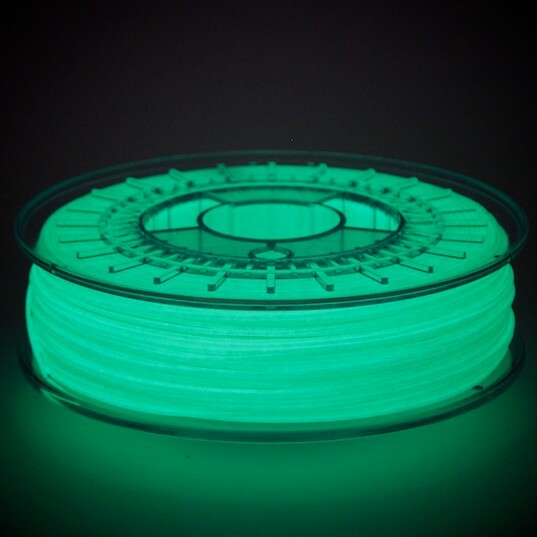 Glow-in-the-dark PLA or ABS filament is in fact nothing else but standard PLA/ABS filament to which the manufacturer added a so-called “phosphorescent material”. 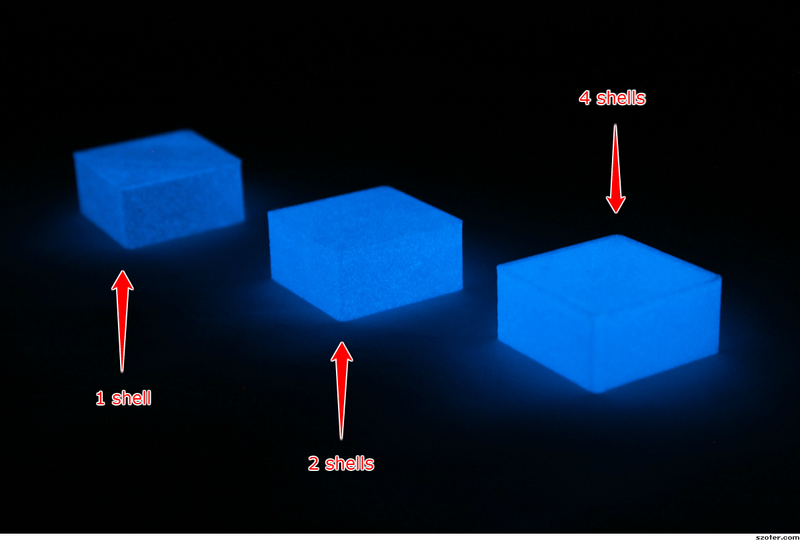 Manufacturers most commonly add pigments of zinc sulfide, calcium sulfide or strontium aluminate, which are materials which will “glow” for a certain time, after they have been exposed to a light source, like a flashlight or sunlight. This glowing is scientifically referred to as phosphorescence, which is a “process in which energy absorbed by a substance is released relatively slowly in the form of light” (source Wikipedia). Phosphorescence is a very specific type of photoluminescence, and although the filament or the printed objects needs “light” (i.e. electromagnetic radiation) to be charged, you don’t need to fear that this material is unsafe or a health hazard because of the term radiation being used. Actually, the pigments simply absorb the photons contained in the light source and they will re-emit a part of this absorbed light over a certain period of time. 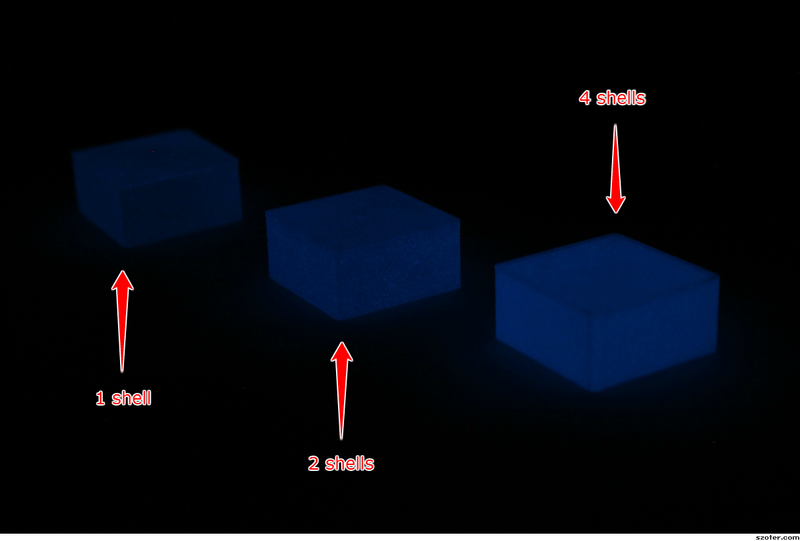 This process of “phosphorescence” is what we most commonly refer to as “glowing”. This glowing can especially be well observed in a dark environment, that’s why these types of materials are commonly referred to as “glow-in-the-dark” filaments. Depending on the material used and added to the masterbatch, a manufacturer can achieve a green, blue, red, pink, yellow or orange glowing colors. Until recently, glow green ABS was the most commonly available material. Now, you can also find a lot of glow-in-the-dark PLA and the color choices are becoming broader. All these 3D printing materials are now readily available in 1,75 mm and 3 mm diameters. The one thing you may want to pay attention to is price. As a general rule of thumb, the cheaper the filament, the less “glow” pigments it contains, the less your prints will glow. If you read a few product reviews on Amazon, you'll quickly see that users are generally disappointed with the glow effects of filaments other than green and blue. Thus, if you are after a maximum glow effect, stick with either green or blue ABS/PLA glow filament. In case you'd like to test a bit of glow filament before buying an entire spool, I recommend that you take a look at the Global Filament Sample Depot. They offer glow filament in 5 or 10 meter samples which is enough to get you started on a few test prints. 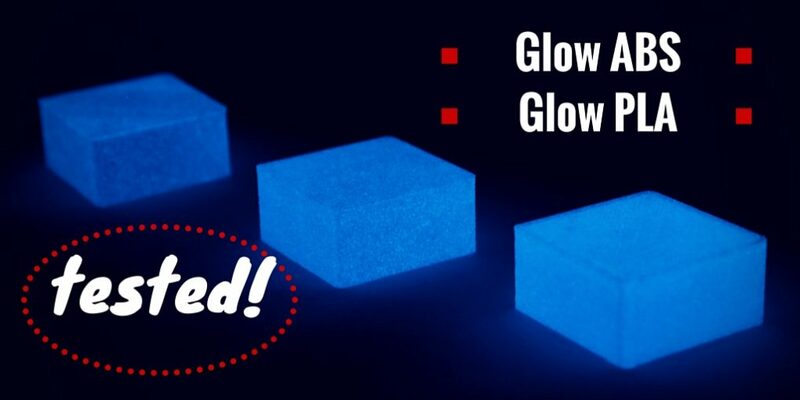 However, if you are looking to buy an entire spool, we actually do recommend the excellent ColorFabb Glowfill, which has very vivid and long-lasting "glowing properties". When it comes to 3D printing with glow filament, just proceed as if you would print with standard ABS or PLA, no special precautions or instructions are necessary. 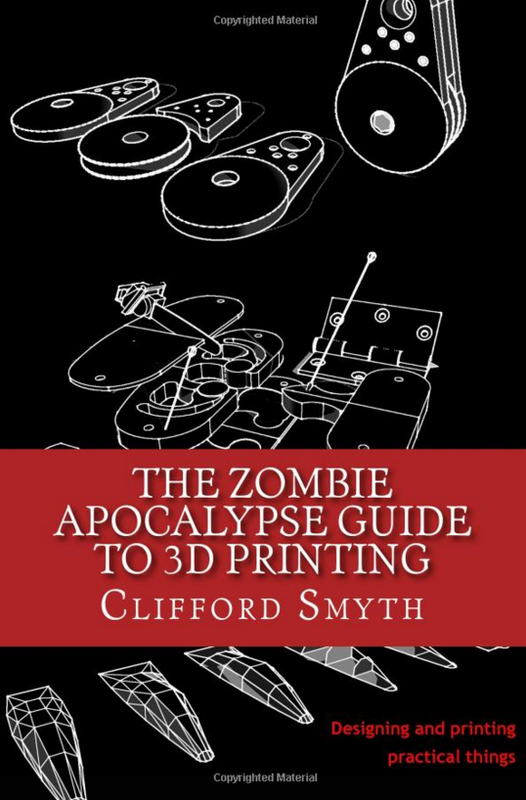 I recommend that you start with your regular ABS/PLA settings and start fine-tuning extruder and print bed temperatures only if necessary. What you should know though is that glow filaments may look quite different when exposed to day light compared to when they are in glowing mode. For example, green glow filament has a whitish/translucent appearance which can make it tricky to spot issues during printing. Pro tip: in order to get the best glowing prints, it is recommended that you slice your prints with no or the least amount of infill while adding a few more shells than usual. The thicker the walls of your 3D print, the better it will glow in the dark afterwards. I decided to test this by printing a simple cube without infill but with a varying amount of shells. Take a look at the picture below. The difference is quite visible: the print with 4 shells glows quite a bit stronger compared to the print with only 1 shell. I also wanted to give you an impression of how long lasting the glow effect is. To do so, I photographed the same two dinos at different times after I switched the light off. I left the camera settings exactly the same for each shot. As you can see, the glow effect is strongest in the first few minutes only. That being said, the pictures taken after 5 and 10 minutes do not really render the remaining glow very well as the objects retain a nice eerie glow for quite a while. As I bought an entire roll of ABS glow-in-the-dark filament, I played around with it a bit more and had a lot of fun with the finished prints. Especially if you print a bigger object and add some LED light source to it, you can achieve some awesome results, which will most certainly amaze your family and friends. Children also do love this material, especially if their printed animals, figurines or ghosts will glow at night, when they go to bed. Stars or similar objects are also in demand, as you can simply attach them to the ceiling of their bedroom or to the walls, so that their heroes or friends can keep them company in the dark. Just check out our glow-in-the-dark ghost fridge magnets article we wrote for Halloween. Have a look at the gallery below for some of our and other people's prints with this cool material. Hope this serves as inspiration for your own projects with glow filament! Just in case you are wondering, the cool dino figurine that I used for the glow filament tests is Robber Rex by Jim Rodda. You can grab your own copy here! There you have it: glow-in-the-dark filaments, another interesting option to add to your arsenal of 3D printing materials. Feel free to leave your questions and comments below!